Bills Engineering Inc. has an outstanding reputation for providing excellent engineering and project management services on a diverse range of projects. As a result of our ability to engineer and manage diverse projects, we have numerous repeat clients and satisfied customers. The following projects provide a representative sampling of our relevant work experience. Preparation of construction plans and various environmental permits (401 Water Quality Certification, Coastal Zone Management and Stream Channel Alteration Permit) for repairs to city property damaged in an October 2004 rainstorm. Civil site work and environmental permits (Environmental Assessment, Special Management Permit and Cluster Permit) for 6-unit residential development. Site development (roadway, water, sewer, drainage and underground utilities) and construction plans for 47-unit cluster housing development. Design of site work for 1,132-unit Planned Development Housing project including over one mile of County Standard (dedicable) roadways and the realignment of Waikakalaua Stream. Also prepared and submitted Zoning Change and Environmental Impact Statement. Preparation of construction plans for water, roadway, subdivision processing issues, bridge location and drainage culvert improvements and processing of related permits for development of 45 single-family housing units. 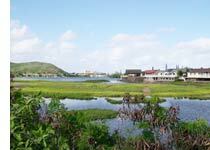 The project's sewer system consists of Individual Wastewater Systems (IWS) required by the Hawai'i Department of Health. Design and preparation of plans and permits to upgrade or convert nine cesspools into Individual Wastewater Systems (IWS) to comply with EPA governmental regulations. Design and preparation of plans (roadway and utilities) to support a U.S. Army Fire Fighting Facility. Site development (roadway, water, sewer, drainage, pavement, trash enclosure pads, concrete walkways, site retaining walls and underground utilities) and construction plans for 56-unit townhouse complex. Civil site work to support a 330-unit high-rise condominium project. Special site work issues included the design and installation of a 30" off-site sewer. Micro-tunneling techniques were utilized for the sewer installation. 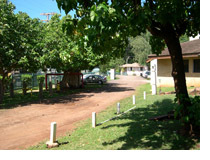 The site work was also coordinated with major roadway improvements to Waimanu Street which fronts the property. Site development (roadway, water, sewer, drainage and Master Plan) and construction plans for 1,050 residential units on 135 acres including single-family, multi-family, mixed use business/residential, park and school lot dedication. Design and construction observation for sewer connection to allow Sailing Club to abandon leaching field system and connect to the City system. The project involved coordination with private landowners (Damon Estate and Ameron), State agencies (DOT-Harbors Division) and the City (Environmental Services) to cross numerous land parcels and allow connection. This landmark was scheduled for demolition without the sewer connection project. Preparation of Conservation District Use Permit (CDUP) for a residence on conservation land. The conservation issues included maintenance requirements for a “reconstructed wetland ”to be retained as a part of the permitting process. Re-design of a drainage corridor from the down slope area of the Ko'olau Range to value-engineer and resize for current hydrologic requirements. The savings to the owner were approximately $350,000 and reduced the cost of the project by more than one-half of the original design. Due diligence for the re-development of the Princess Kaiulani Hotel to a time share property. Focus was on civil infrastructure including roadway and roadway frontage, sewer adequacy, water adequacy (public and the project's private water system) and drainage adequacy. The State declared an "Emergency Project" to remove the hillside at Castle Junction. The project did not address replacement of the removed material and left that up to the contractor to find a disposal site and obtain all approvals. Bills Engineering Inc. assisted in locating and evaluating sites and preparing grading plans and supporting permits in an extremely short period of time to meet the State's contract time constraints. Approvals included grading plan approval, SMA approval, NPDES approval and clearance from the State Historic Preservation Office. Preparation of civil construction plans (roadway, site utilities and drainage) for 80-unit resort development at Mauna Lani. The project included a wastewater pump station for connection to the Resort sewer system. Preparation of civil construction plans (roadway, site utilities and drainage) for 44-unit resort development at Mauna Lani. The Guam Waterworks Authority (GWA) is under a stipulated order to provide system improvements to its water and sewer infrastructure. Bills Engineering Inc. provided Chief Engineering services for over one year with respect to the final review of various infrastructure projects aimed at meeting the requirements of the stipulated order. Work involved coordination with U.S.E.P.A. Region IX and Guam Waterworks Authority. Prior to the forming of Bills Engineering Inc. the current staff worked at another engineering firm of which Mr. Bills was a Principal for 16 years. The following are sample projects performed while at that firm, further demonstrating the capabilities of the current Bills Engineering Inc. staff. 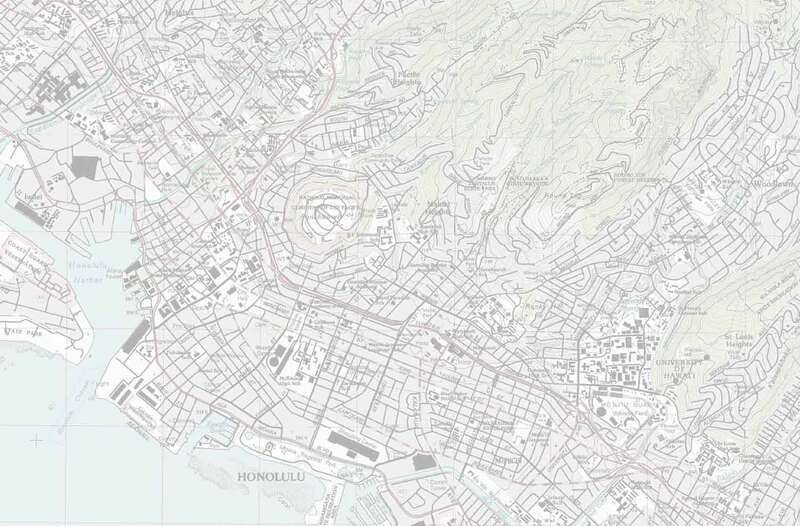 Prepare Environmental Documents (SMA & Environmental Assessment) and design a series of roadways to connect the Leeward Coast of O'ahu during emergency conditions (i.e., hurricanes, waterline breaks and major traffic accidents). 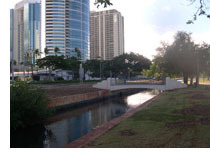 This project was sponsored by the City & County of Honolulu, Department of Transportation Services and was one of Mayor Harris' priority projects. Design for replacement of 7,500 LF of 20" waterline for the U.S. Navy, Public Works Center. Design and manage 12" waterline extension to serve the Doris Duke Foundation for the Islamic Arts. Project manager for the design of a 3.0 MGD wastewater treatment facility serving the Grove Farm Commercial/Residential complex. Effluent reused for golf course irrigation. Design of fire protection water supply system, including 25,000 gal. water storage tank, pump house and water distribution lines. David B. Bills oversaw a project that called for assistance to the State of Hawai'i, Department of Health, Clean Water Branch in reviewing and processing a backlog of NPDES applications in the early/mid 1990s.